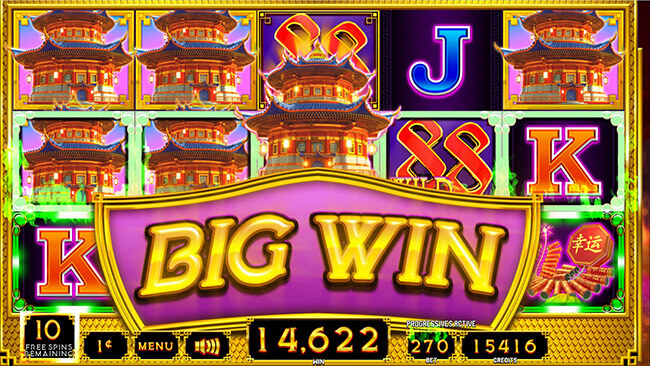 The legend of the Dragon is alive in Incredible Technologies’ Legendary Fortunes™. 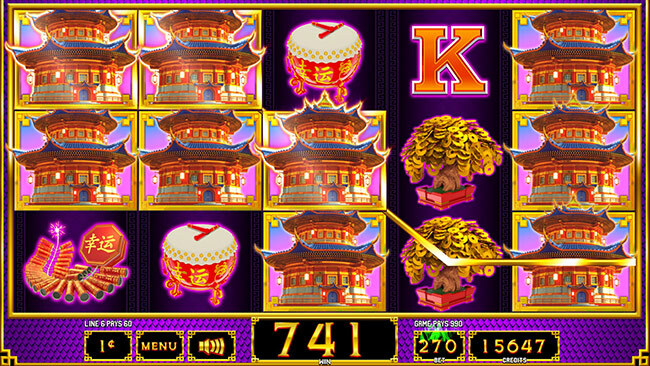 The 40 line slot is filled with beautiful Asian-inspired symbols like pagodas and Koi fish. The dragon symbol is what brings the heat to this game. 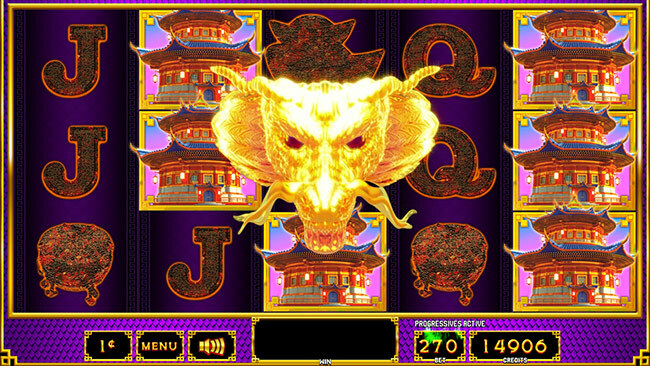 Appearing exclusively on reel three, the gold dragon triggers a re-spin with locked pagodas – the highest paying symbol. 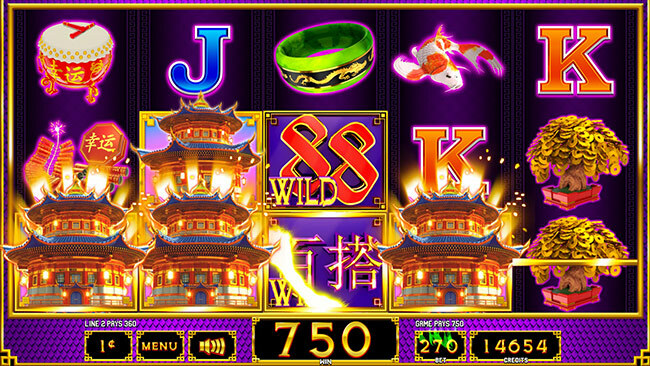 Lower paying symbols are turned to ash by the dragon’s fire as the reels re-spin to bring player even better line wins! 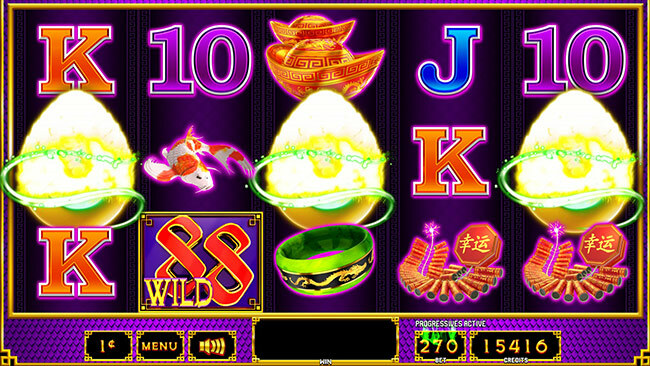 Three golden dragon eggs trigger eight initial Jade Line™ Progressive Free Spins. Players can retrigger free spins with another three dragon eggs. 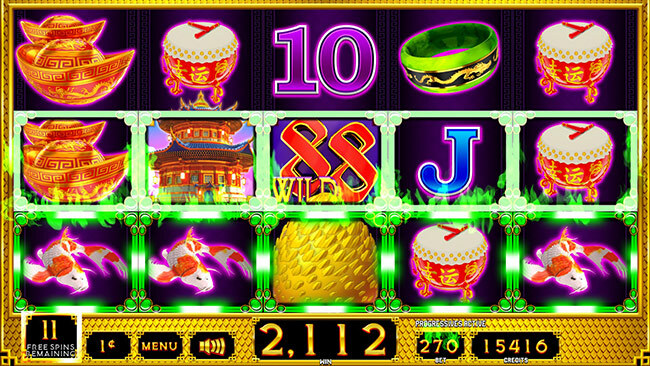 A second reel set is added to the top screen to create an 80 line free spins event! Players will be looking for the glowing Jade frames for their own legendary wins. Each Jade frame that lands on the reels slides down to the lowest unoccupied position and locks. The Grand, Major and Minor progressives are won as rows are filled with Jade frames. The first row awards the Minor award, the second row awards the Major and the entire screen full of Jade frames awards the Grand progressive!